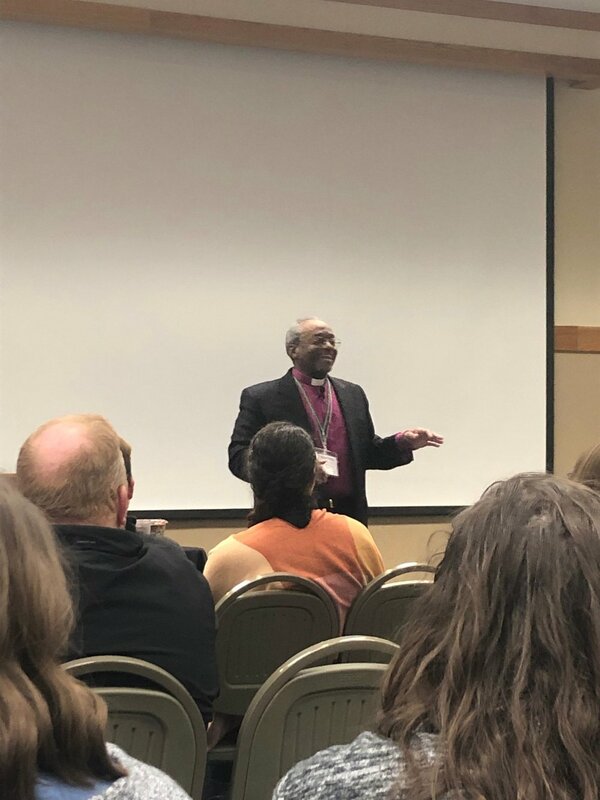 Each year, Episcopal Camps and Conference Centers from across the country come together for a week of professional development, community building, and wellness at one of the 106 centers involved with ECCC. This year, the conference was held at Waycross Camp and Conference Center, in Morgantown, Indiana, with a theme of “Inward, Outward, Forward.” This theme was deep-rooted in workshops, keynotes, and even wellness activities, designed to grow participants inwardly, allow them to take that growth back to their own organizations, and move forward together into this word of camp and conference ministry. Throughout communal study, participants and conference facilitators were brought back time and time again to the realization, that as safe and sacred spaces, we are given the opportunity to move ahead, oftentimes ahead of the church to make way for meaningful and impactful change. Other fun highlights: We witnessed presiding Bishop Michael Curry speak and Scott held a baby.